Adrian Hoad-Reddick is a teacher, poet, radio host, wordsmith, and Lead Idea Farmer at Hoadworks, inc., a new media company providing innovative educational content and games. 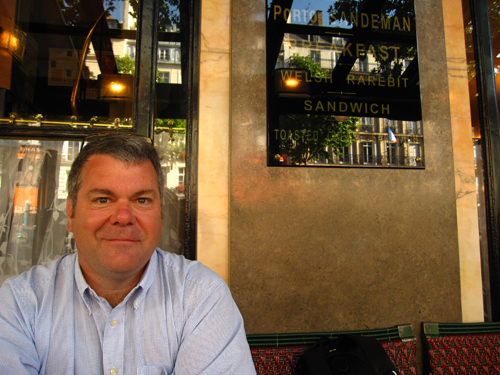 Adrian has over thirty years of English language and literature teaching experience; he never grows any less inspired by the opening sentences of Watership Down, or the closing lines of The Great Gatsby. Adrian loves to inspire young writers. At the centre of these efforts is a belief in making it real and making it fun. He has served on organizing committees for several writers' festivals, bringing published writers and motivated young readers and writers together. He is Park Warden in The Hundred Story Wood, Eden Mills Writers Festival's annual Young Writers Workshops. Many of Adrian's most rewarding teaching moments have come in the CFRU radio studio, working with students in producing live radio on The Poem Repair Shop, or in classroom collaborations creating web or eBook Digital Reader's Guides to novels by visiting Writers in Residence. Adrian is a word puzzle fan and computer enthusiast. His word puzzles have appeared in many diverse publications. Adrian's Vocabaret (formerly The Wordly-Wise) listserver delivers word play to thousands of online subscribers. Adrian has compiled his most popular word game titles in a book, Beguiling Word Play from The Vocabaret. When he is not creating his own games, he supplies puzzles for some of the web's best games, including 7 Little Words and Red Herring. Adrian has developed computer games, including Cobble: Solitaire for Word Lovers and the animated head-to-head trivia game The Brainslider. Adrian's two-player strategy board game Switchback is currently under development for online play. And look, he did excellent work on April 26! 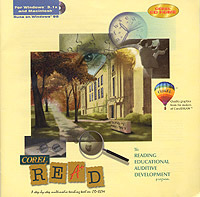 During a sabbatical year, I served as Director of Instructional Design at Toronto-based Hoffmann + associates, inc where I led the development of the adult literacy CD-ROM, Corel R.E.A.D. I also contributed writing and educational game design for H+a's kids' titles Nikolai's Pharoahs and Nikolai in the Time of the Egyptians and created the children's and educational websites while teaching adult classes in The Elements of Web Style. 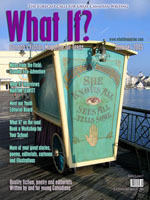 I was privileged to work alongside Mike and Jean Leslie over several years, supporting their brilliant magazine, What If?, as a volunteer creative consultant. The magazine provided a (much needed) publishing opportunity for young Canadian writers and illustrators. ©1996-2019 Hoadworks, inc. Adrian Hoad-Reddick.